Life isn't fair. The Joker escapes from Arkham Asylum. Bruce Wayne puts on his Batman suit, mask, and cape, and goes in pursuit. He's soon found the Joker and begins a fight to subdue the red-eyed, sneering villain. Then, suddenly, things take a surprising turn: the Joker becomes the least of Batman's worries. New enemies appear: it's as if he's found himself in another set of comic books. Can he hold his own? 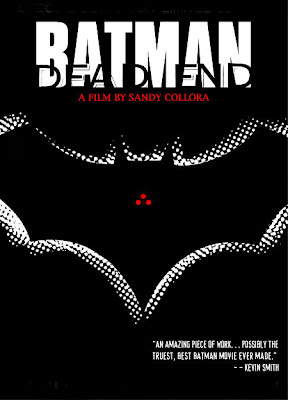 Batman: Dead End is a fan film made by Sandy Collora that premièred July 19, 2003 at the San Diego Comic Con, and on the internet shortly thereafter.